Islamabad, September 17; A resolution adopted in the House today proposed that Madressahs should be regulated in terms of the curriculum and funds they receive in order to meet the needs of today’s human resource market and to prevent the spread of hate-speech and extremism. The Resolution was put forward in the House by Mr. Aaqib Ali Khan (YP3-05-KP01), Mr. Tayyab Shahnawaz (YP3-30-PUNJAB19), Mr. Hamza Nizam Kazi (YP3-42-SINDH03), Syed Hassaan Hassan Hashmi (YP3-51-SINDH12) and Haseeb Ullah Baloch (YP3-43-SINDH04). Mr. Awais Khan (YP3-19-PUNJAB08), Ms. Ayesha Arif Khan (YP3-40-SINDH01), Ms. Ayesha Hayat (YP3-20-PUNJAB09), Mr. Muhammad Farhan (YP3-28-PUNJAB17), Syed Muhammad Uzair (YP3-10-KP06) and Mr. Muhammad Adnan (YP3-27-PUNJAB16) moved a resolution in the House that the private businesses should not be allowed to generate media ratings, as they are easy targets of manipulation and corruption. This adversely affects the business of other private channels. Members proposed the Government to establish an independent Monitoring body to ensure correct reporting of the rating data. In another business forwarded in the House today young Members recommended that student counseling centers should be established and mentor- student relationship be given rise in every school and college (with minimum strength of 250) across the country to help students cope with curriculum and psychological issues. This resolution was tabled in the House by Mr. Muhammad Usman Amjad (YP3-32-PUNJAB21), Ms. Marina Marri (YP3-45-SINDH06), Mr. Ans Khurram (YP3-15-PUNJAB04) and Mr. Zain Ul Abideen Sohail (YP3-31-PUNAJB20). Both resolutions were adopted. 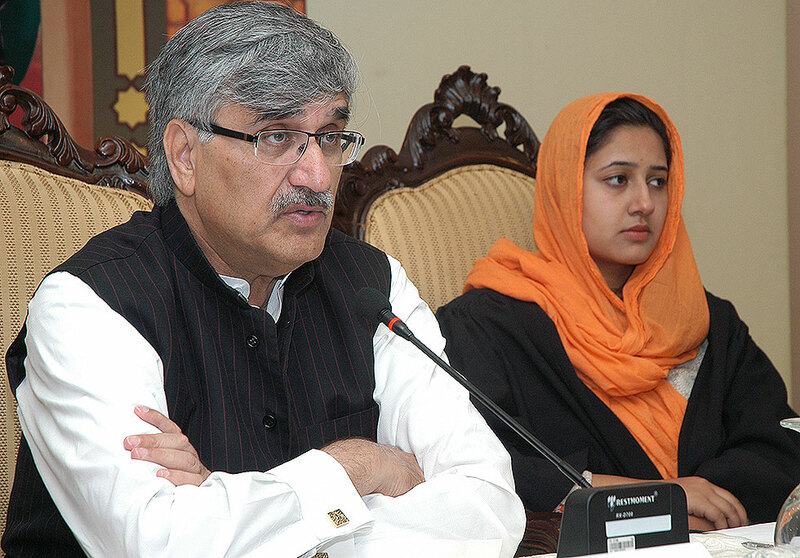 In a lecture delivered to the House today on “Local Governments”, Syed Jaffer Ahmed, Director Pakistan Studies Centre, University of Karachi, young Members were briefed about the importance and challenges faced in electing local Governments and their position vis-à-vis Provincial & Federal Governments. Pakistan’s National Action Plan (December 2014): What is the State of its Implementation and Possible Proposals for Effective Implementation & Oversight. Pakistan’s Extended Fund Facility (EFF) Plan with the IMF and its Short-Term and Long-Term Economic Impact on Pakistan. 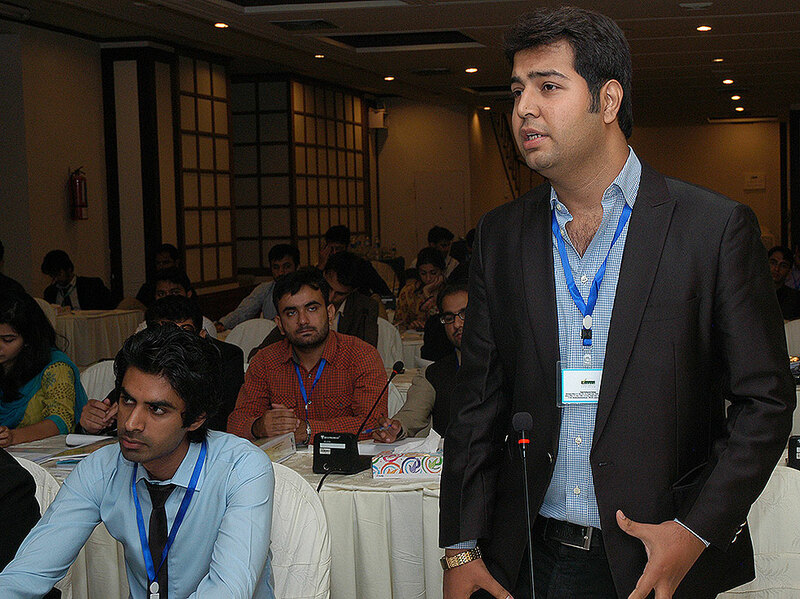 60 new Members of the 7th Youth Parliament Pakistan will complete their 5-day Session in Islamabad tomorrow.